This could be interesting to most of my customers and friends, especially on the American side: tell me where you are from and I’ll tell who you are. This slight change of another saying is quite true. as I said, I was born and raised in Sandhausen and now live in Nussloch. 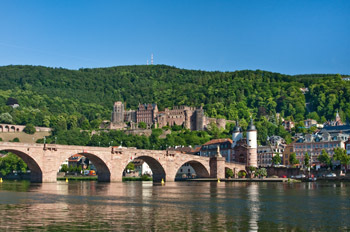 These two mentioned towns are about 10 km south of the beautiful city of Heidelberg. Heidelbergs’ castle, the old town and river Neckar (you can see one of many bridges on the picture top-left) were saved and soon inhabited by so many Americans and visited by loads of tourists from all around the world. So? Do you know the city through relatives or friends who were stationed here or just visited? Learn more about this wonderful part of Germany and feel free to check out Google Maps below or see more pictures on the internet.